Showcasing out most requested vehicles. 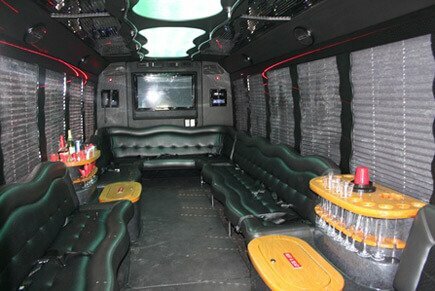 A sample of our amazing vehicles! 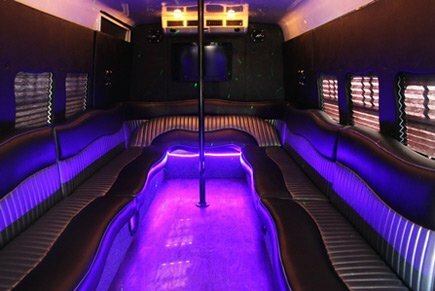 We have an incredible fleet of party buses for you to choose from, with the ability to accommodate groups of all sizes! 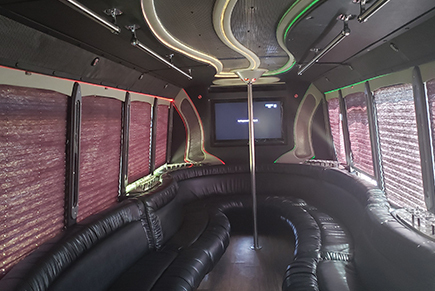 Not only that, each and every vehicle in our fleet is immaculately equipped with all of the finest amenities that we could fit inside (and outside). 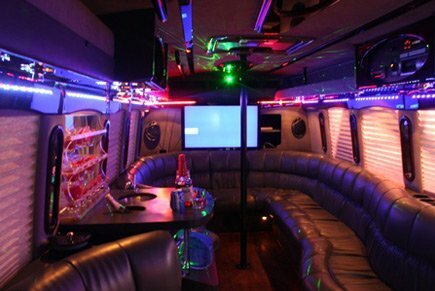 While on the road with us, you'll enjoy such niceties as plush leather seating, private cabin with tinted windows and/or shades, audiophile quality sound system, colorful mood lighting, luxurious flooring (hardwood, ceramic, or deep pile carpet), wet bars with coolers, and HD televisions with DVD or BluRay systems. Oh, don't forget to bring your music along with you as you'll be able to adapt your iPod, MP3 player, or even mobile phone via your headphone jack. Yes, we really did think of everything. All that's left is for you to find the perfect choice for you! While you're perusing this page, please keep in mind that we are often adding to our spectacular fleet. For this reason, we may not yet have been able to update our website with the newest vehicles information. So, if you don't see precisely what you're looking for, be sure to give us a call or send an email to us so we can fill you in on all the details of our latest and greatest vehicles. But, without further ado... Don't forget to click on the pictures below to learn more about each vehicle. Don't forget to get in touch! Now that you've had a chance to check out the amazing options we offer... Don't hesitate for a moment in getting in touch with us! Our representatives are covering the phones for your convenience, 24 hours a day, every single day of the year. Whether you are ready to make a reservation or, if you happen to have a question, we'll be happy to help you out regardless of what you need.